This article is part of a series of opinion pieces to mark World Food Day October 16. Kalongo Chitengi, is Zambia Country Director of Self Help Africa, a Farming First supporter. LUSAKA, Zambia, Oct 10 2018 (IPS) - Rosemary Chate’s seven children gather around the table inside their home in Malela, a village in Zambia’s remote Northern Province. They dig their spoons into bowls of food prepared by their mother – for the second time that day. Not long ago, Rosemary’s family would assemble to eat just once a day – their resources, for many months each year, were so thin that they needed to ration their food supplies to just a single family meal. 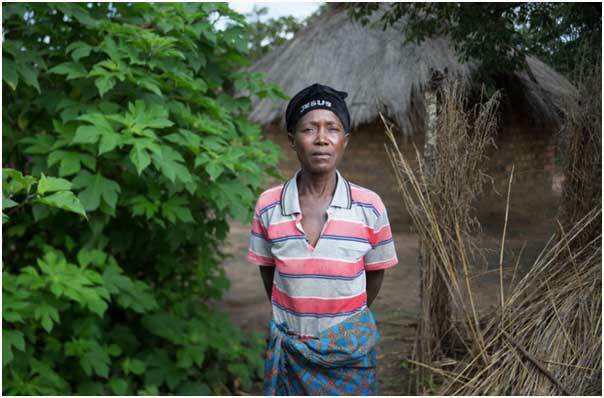 This is the reality for millions of African farmers like Rosemary. Many challenges are keeping yields on the continent low. Farmers lack access to inputs that farmers in developed countries have utilized for decades, from quality seeds and herbicides, to the right type of fertilizer for their undernourished soils. The hand hoe – even in this century – is still the main tool for smallholder families. Migration to urban areas and the impact of AIDS have left many rural homesteads with a labour shortage. Climate change has also emerged as another challenge, and rural families grapple with adaption. Changes in the climate have brought with them not only drought and flooding, but new plant diseases and insect attacks. The fall armyworm in sub-Saharan Africa has caused tremendous damage. This unpredictable reality has made crop management very difficult, and indigenous knowledge alone can no longer suffice. African farmers need scientific innovation – from low to high tech – to face these challenges. Yet preserving Africa’s environment, its most precious resources after its people, is also a high priority. This is one of the fundamental concerns of agroecology – ensuring farmers can produce food and earn a good living, while keeping the natural resource base intact. With the right approaches that blend traditional knowledge with scientific innovation, this can be achieved. At Self Help Africa, we are working with farmers to achieve this through the implementation of conservation agriculture. In Zambia alone, we have reached over 80,000 farmers in the last five years. Conservation farming involves a combination of approaches. First, farmers are encouraged to intercrop a variety of species, such as groundnuts, which can naturally fix nitrogen to the soil, and cassava, for example. This ensures maximum use of a piece of land that has been cleared – producing more food with less resources. Crop rotation and mulching, along with an integrated use of mineral and organic fertilizers are also part conservation agriculture. 59-year old Felister Namfukwe has seen the benefits of this farming approach. Not only are her soils healthier, but her income is as well. With the help of her sons and her profits from groundnuts, she is building a new home made of brick, replacing her previous mud home. “Being part of this (Self Help Africa) project has lightened my burden,” she told us. We also work with local farmers to build their capacity to grow good quality seed, and to strengthen community based seed systems. Recycling seed is a common practice in Africa, when access to better seed is scarce. However, recycled seed loses its efficacy. We are currently working with 300 seed growers across the country, who are multiplying seeds that are more able to cope with climate extremes, are higher yielding and more resistant to pests and disease. In Zambia’s remote Western Province, the Kamasika Seed Growers Association illustrates how effective community-based seed multiplication is assisting local food production in the face of climate change. The group received training and support in seed multiplication techniques from Self Help Africa and government advisors on the technical requirements for producing certifiable seed. The farmers were then linked to a new state-run seed testing laboratory, established with support from Self Help Africa in nearby Mongu town, to ensure that the seed being produced met the requisite germination, moisture content and other standards required to attain certification. The group has since opened several retail shops where they sell farm inputs, including certified groundnut, bean, sorghum, maize and vegetable seed that they are producing, and supply to several thousand smallholder farmers across the Province. African farmers are most at risk from rising temperatures and persistent hunger. We must ensure they have access to all the tools and technologies necessary to thrive in the face of these threats.